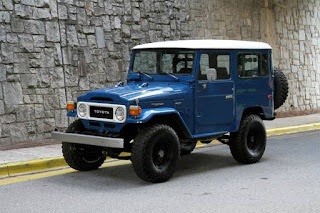 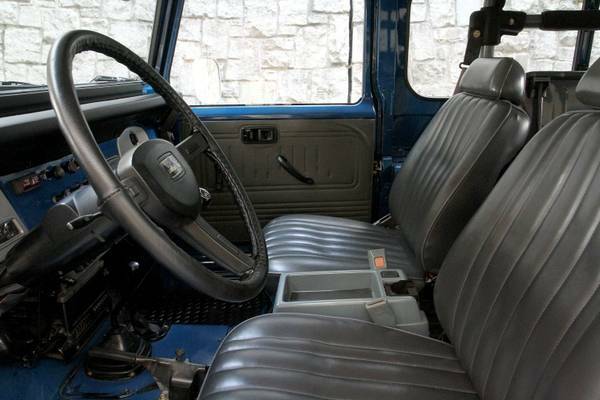 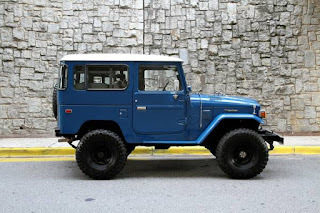 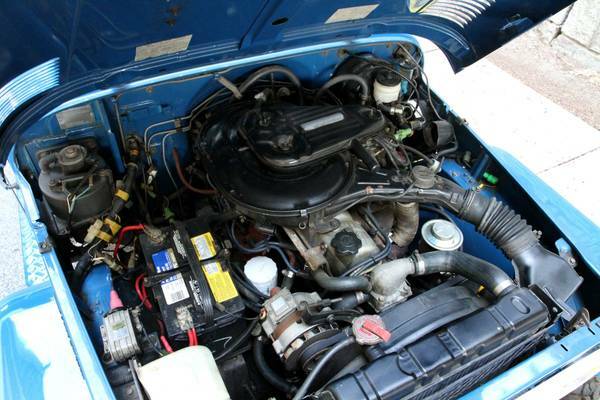 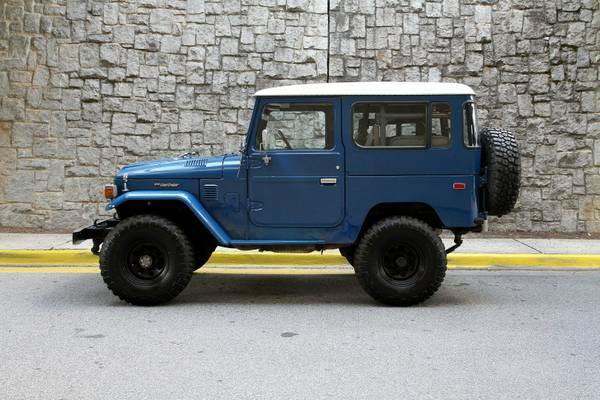 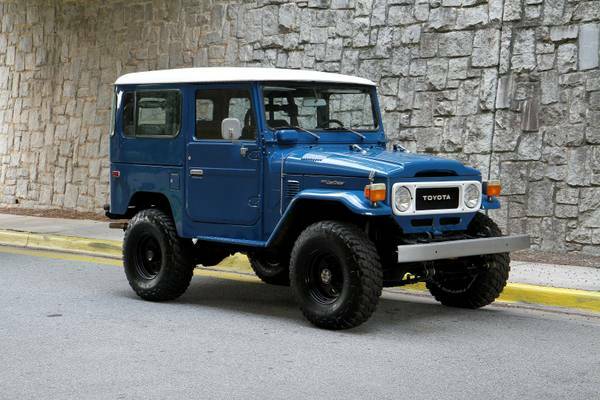 Great looking Land Cruiser FJ40 series in medium blue. This Land Cruiser was restored by a noted Land Cruiser Specialist and is for sale by Motor Car Studio in Atlanta, GA USA (1-404-692-5250). 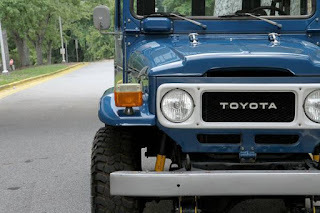 Motorcar Studio is pleased to offer this restored 1982 Toyota LandCruiser FJ40. 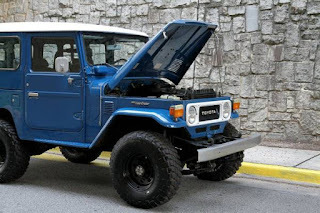 Finished in very attractive Nordic Blue (color code 857, also known as Medium Blue), it's a nice departure from all the Dune Beige FJs you see around town. 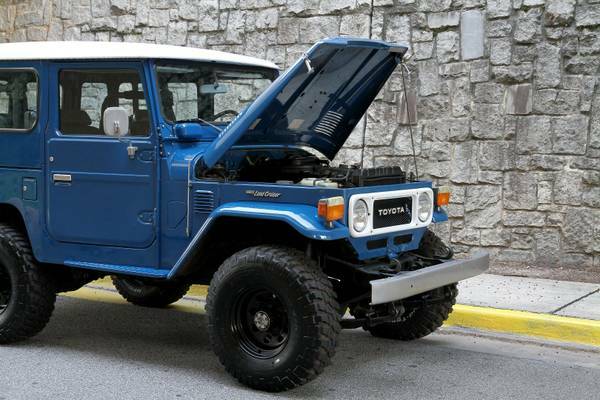 Restored in 2002 by noted Land Cruiser specialist Chris Wade, it has been driven 14,000 miles since (right at 1,000 miles per year) and still shows quite well -- a few minor flaws here and there consistent with age and mileage, but overall an exceptionally nice truck that has been carefully maintained. 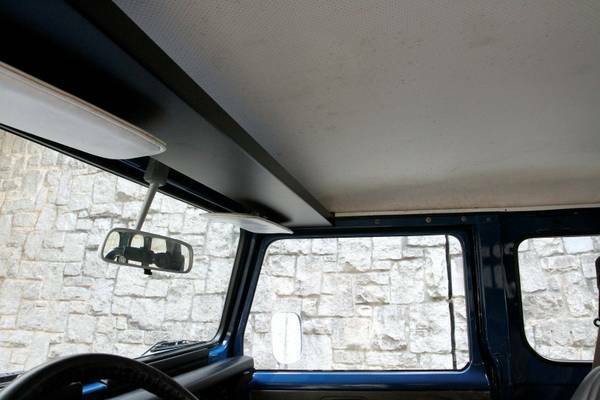 Paint quality is very nice and panels are straight and solid with good gaps. 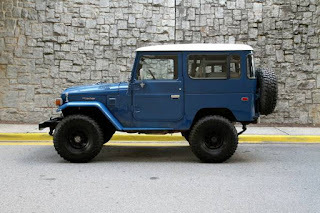 Nearly new BF Goodrich 33x10.50 mud terrains on matte black wheels. 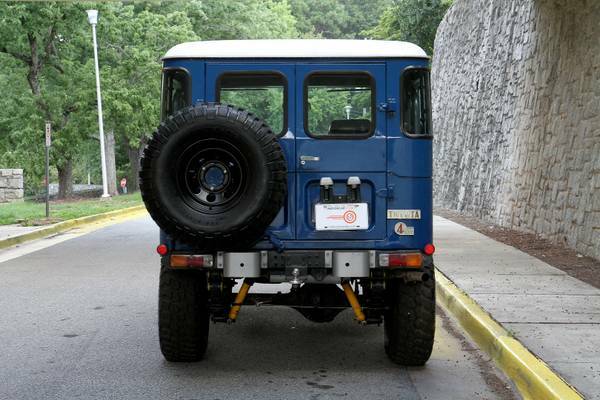 OME 2.5" suspension lift and shocks. 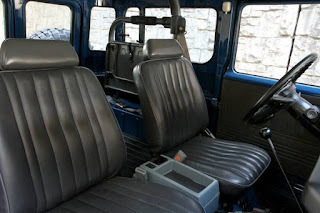 Interior shows well with front bucket seats and rear jump seats in excellent condition. 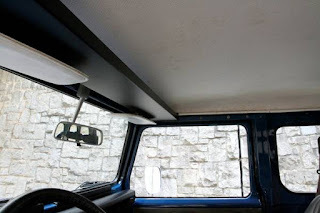 No dash cracks. 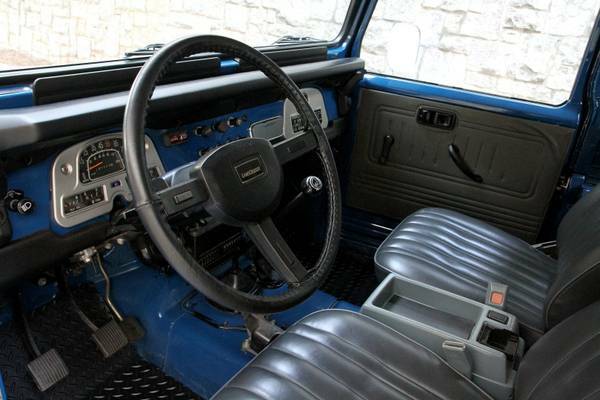 All gauges, switches, indicators and lights are working, as is the original AM/FM stereo. 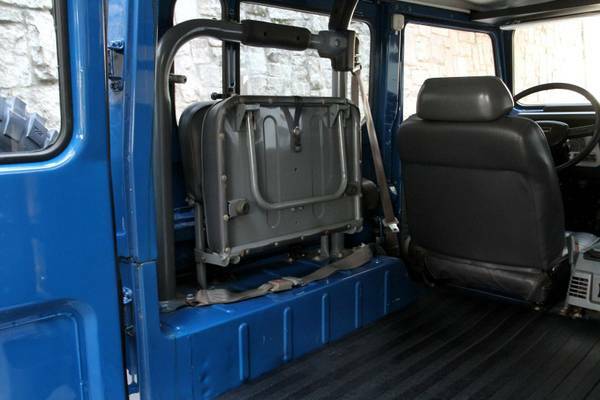 Factory roll bar with three-point front seat belts. 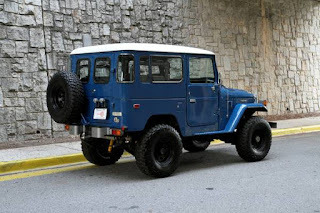 The late FJ40s are the best of the breed in terms of their factory options and driving dynamics, equipped with the 4.2 liter "2F" straight six, four-speed manual transmission and power disc brakes. 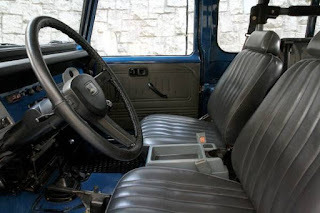 Power steering was added a few years ago with all new components; steering is tight, brakes stop sure and straight. Engine runs smoothly, clutch and gearbox feel great. 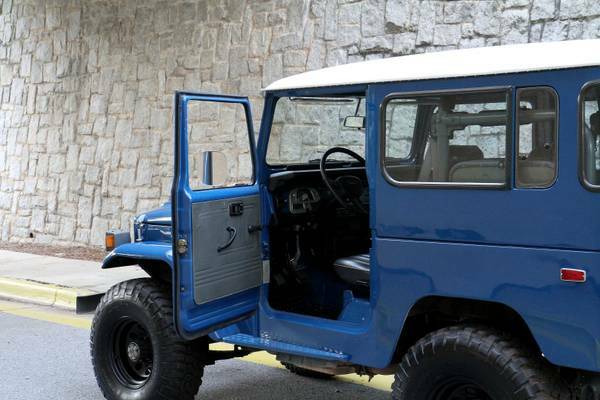 A turn-key example that feels very "put together" with no known needs.